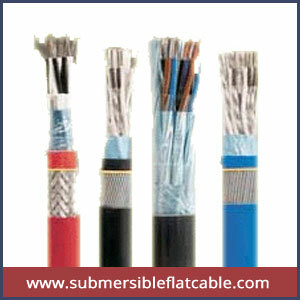 Cosmo electrical is well known for the supplying the individual and overall shielded instrumentation cable. Our cables are having an aluminum/ polyester foil shield with 100% coverage and with a tinned copper drain wire continuously for protection against external electrical noise interference. The cables are having entity conductor pairs which are abandoned bare copper with black and white finest grade PVC insulation and distinct with alpha-numeric print for easy identification. The provided instrumentation cables are having an expansive assortment of uses in the petrochemicals, pulp, paper and sawmill and other process industries. These cables are designed according to wet and dry locations. It is having the resistant to mechanical damage and corrosive chemicals and it is often employed with the raceways, direct burial and control applications. The main applications of these cables are in control systems, monitor networks and an assortment of other engineering industries that need to measure, supervise and control.